As luck would have it, I came down with my first cold of the season this weekend. One thing that always makes me feel better when I’m under the weather is a grilled cheese sandwich. 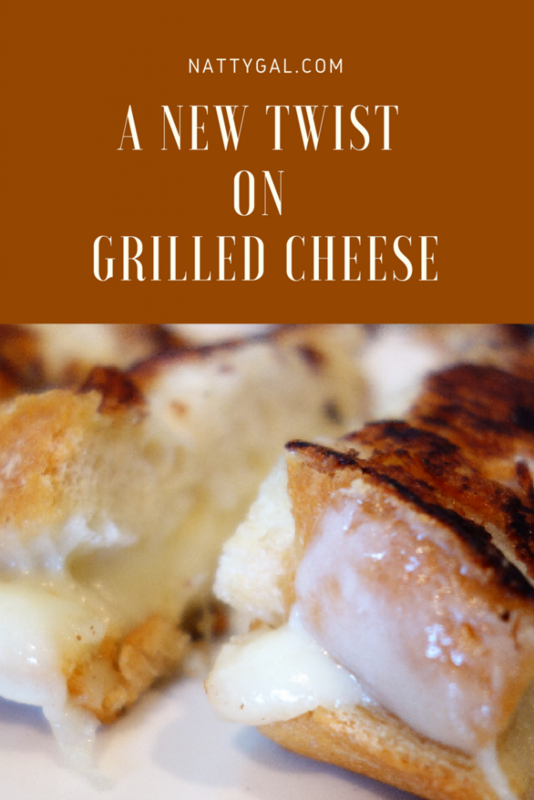 The grilled cheese below is one of our family favorites. It’s great for lunch on a cold day and can even work as a quick and easy dinner option with a salad or some fruit on the side. 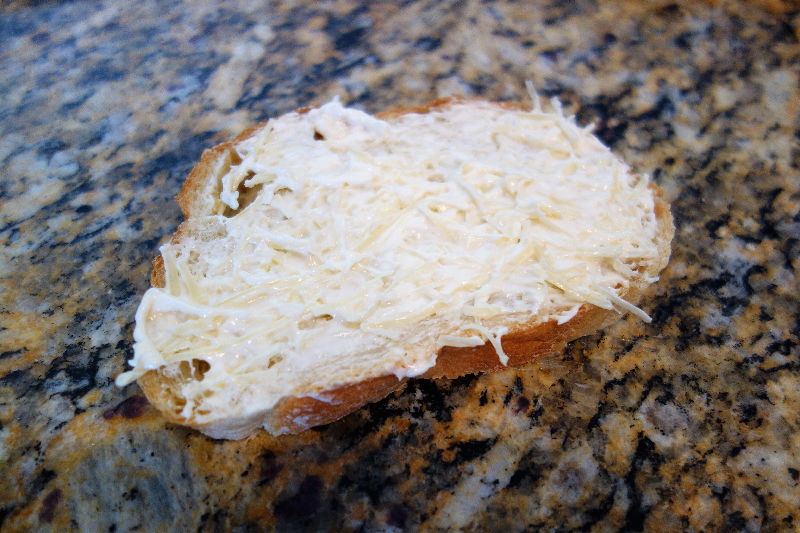 Mix the Parmesan cheese together with the mayonnaise and spread on the outside of your bread slices. 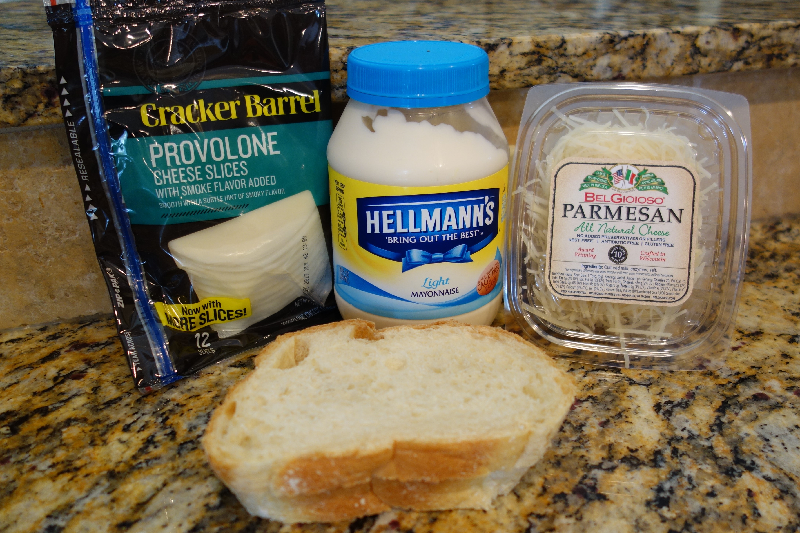 Mayonnaise is a secret ingredient for all my grilled cheese sandwiches. Whether you are a Kraft single purist or like more exotic pairings like brie and apple slices, mayonnaise gives the crust an extra crispy and brown finish! Cook your sandwich in a non-stick skillet over low-medium heat. Do not flip the sandwich until the underside is fully crisp and browned. 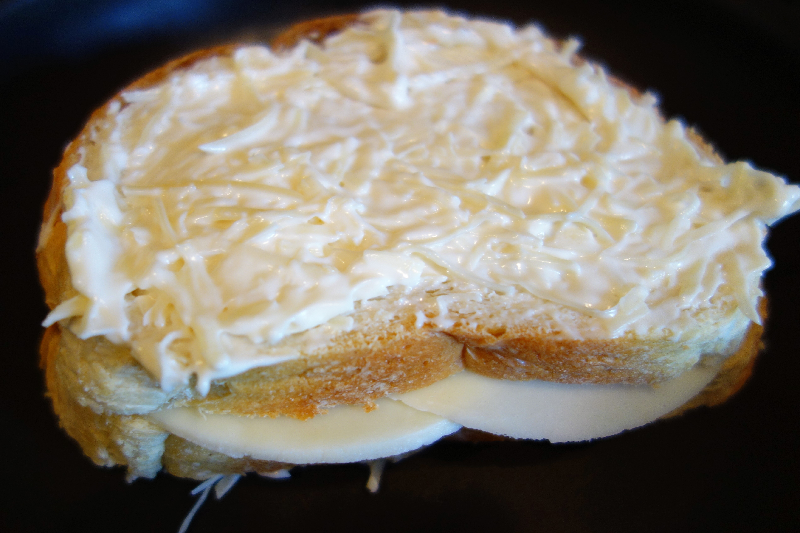 Turning too early will cause all of the exterior cheese to slide off the sandwich. At low-medium heat this should take about 3-5 minutes per side. Remove sandwich from skillet and let cool slightly, just a minute or two. While sandwich is cooling, heat up a small amount (1/2-1 cup) of marinara sauce. Cut sandwich into sticks for easy dipping into sauce. 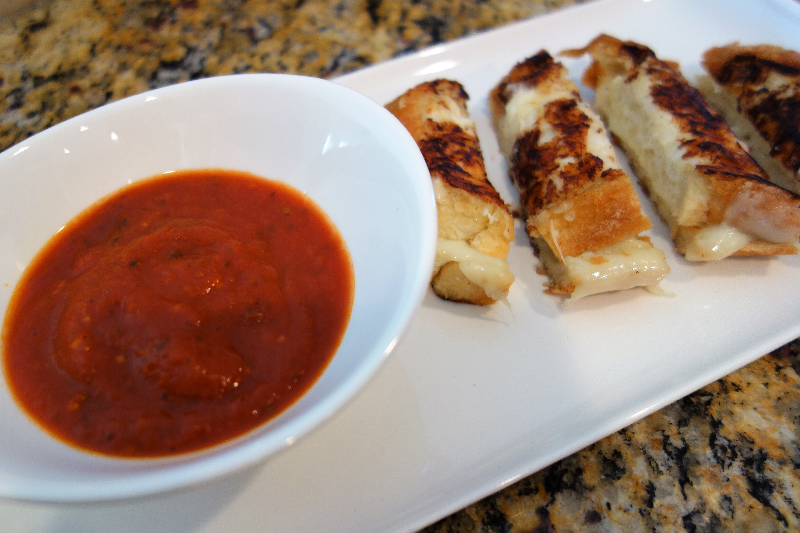 Serve sandwich sticks on a plate with a small bowl of marinara along side. Enjoy!